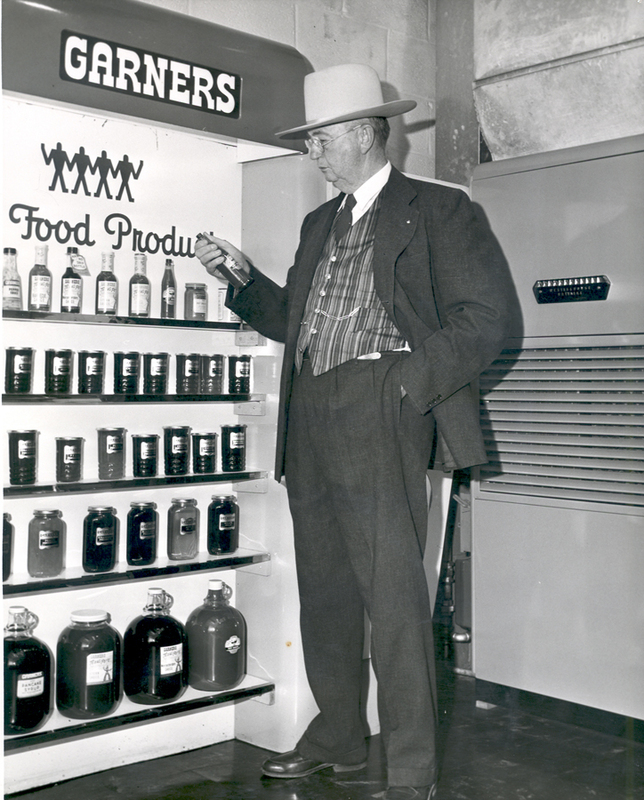 Before the first drop of Texas Pete hot sauce was ever tasted, there was a dream in the great imaginations of the Garner family. Here’s their story. “So how is it that a tasty red pepper sauce made in North Carolina happens to be named ‘Texas Pete’ anyway?” Legend has it that, when Sam Garner and his three sons, Thad, Ralph and Harold, were trying to come up with a brand name for this spicy new sauce they had created, a marketing advisor suggested the name “Mexican Joe” to connote the piquant flavor reminiscent of the favorite foods of our neighbors to the south. “Nope!” said the patriarch of the Garner family. “It’s got to have an American name!” Sam suggested they move across the border to Texas, which also had a reputation for spicy cuisine. Then he glanced at son Harold, whose nickname was “Pete” and the Texas Pete cowboy was born. Movie cowboys were very popular in the 1930’s, men like Tom Mix and Hopalong Cassidy, representing a sort of universal image of rugged independence and self-reliance, the perfect ideal for a family business trying to survive tough times. Actually, Texas Pete Hot Sauce was not the first product the Garner family made and sold. That distinction belonged to Garners’ Barbecue Sauce. In 1929, the onset of the Great Depression, Sam Garner and his wife, Ila Jane, affectionately known as ”Mother Jane”, were struggling to make ends meet for themselves and their seven children. The oldest of the clan, Paul, had gone off to school at Duke University. The next in line, Thad, decided to use his college money to buy a nearby barbecue restaurant. Along with the restaurant came a special secret recipe for a delicious, so everybody told them, barbecue sauce. The restaurant did not survive, but the barbecue sauce, made in the family kitchen, survived and prospered. People loved it! Soon the entire family was helping out to make the sauce and keep the family afloat in the hard times. Sam, who never met a stranger, traveled the back roads of North Carolina peddling their sauce. Thad, along with younger brothers Ralph and Harold, as well as Mother Jane and sisters Virginia, Elizabeth, and even young Margaret, were helping in the kitchen. Eventually the three sisters went off to college themselves, all graduating and moving on in their careers and/or marriage. 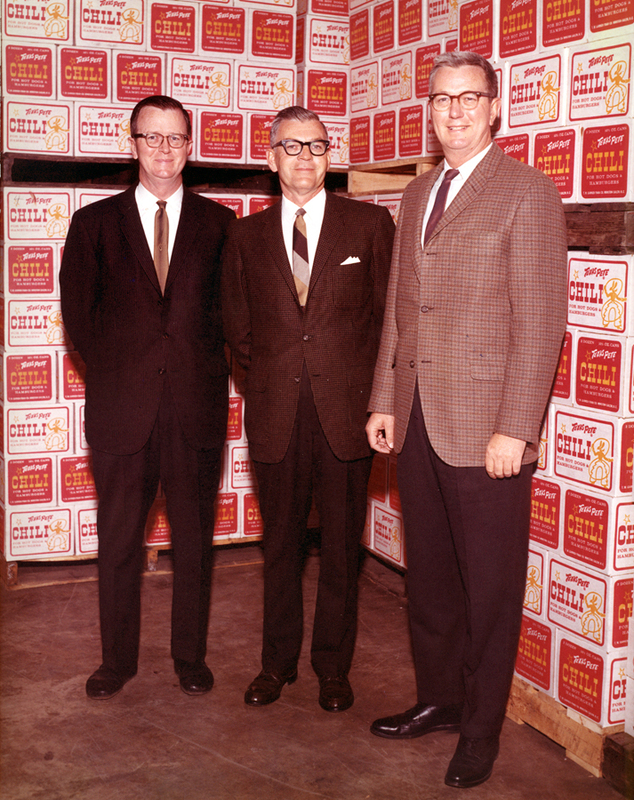 Sam, Thad, Ralph and Harold continued in the food business, forming a partnership and, in 1946, incorporating into T.W. 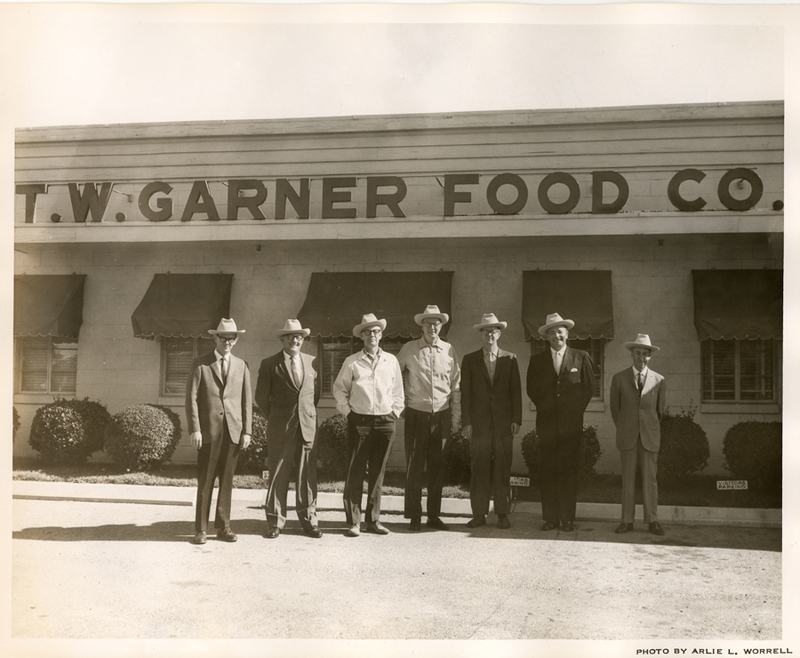 Garner Food Company, as it is known today. 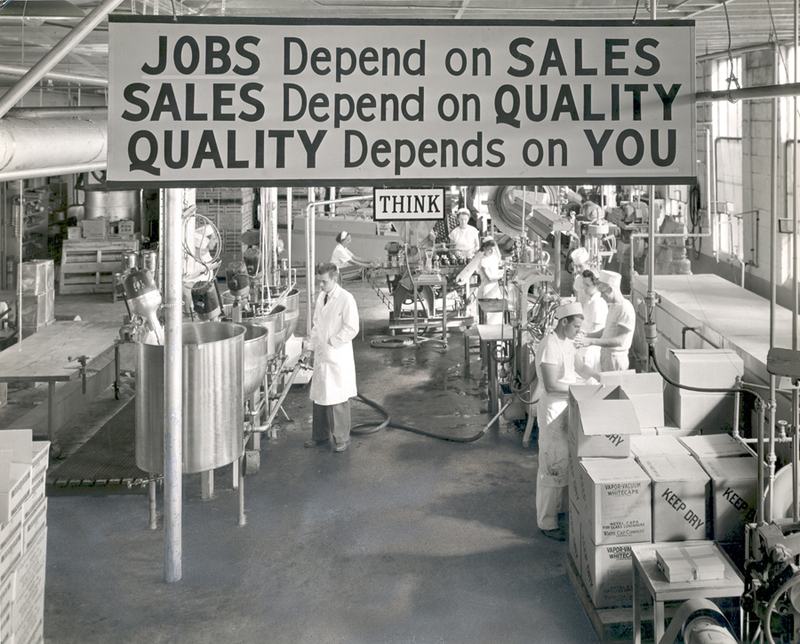 Over the years the ”four Garners”, as they were known, produced a number of food products, including a complete line of jams and jellies, horse radish and other items. 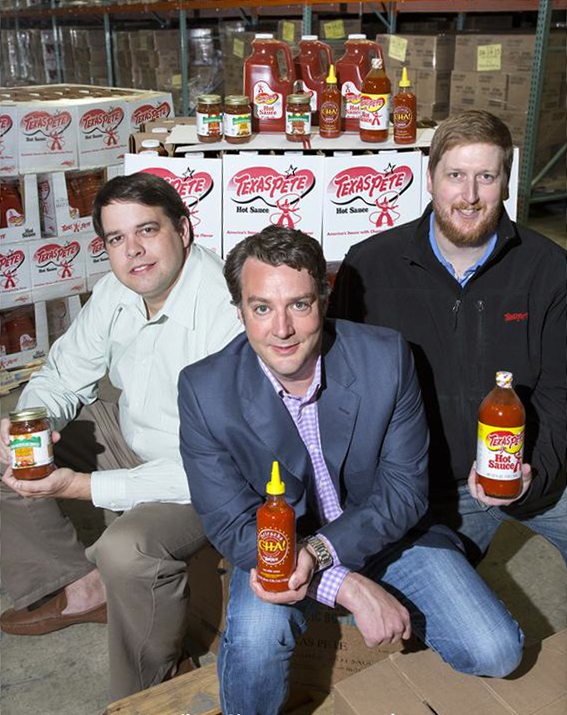 They came up with a number of products under the Texas Pete brand name to complement their popular hot sauce. These include hot dog chili, honey mustard, seafood cocktail, green pepper sauce, Worcestershire sauce and Buffalo wing sauce. Today the company is prospering as it celebrates its eightieth year in business. Members of the third and fourth generations of the Garner family have followed in their elders’ footsteps. The current factory, built in 1942 and added onto too many times to count, sits on the original Garner family home site in northwest Winston-Salem. And the legendary Texas Pete, proud of his cowboy heritage but also a proud North Carolinian, continues to thrive!